Due to some jerky polar vortex this week, we were all given a lovely reminder that winter is, in fact, coming. I’ve never been a fan of winter. Yes, my favourite holiday is nestled in there, all warm and snug, but even Christmas cannot save winter for me. I hate snow, slush, ice, and cold. But above all that, I hate having to get two babies ready for said winter. I have to give myself at least twenty minutes to prep the stroller, get myself outfitted with various cold weather accessories, and then wrestle two baby girls into hats and snowsuits. You would think that I was abandoning the girls at the doctor’s office instead of just trying to keep them warm the way they protest. They look so cute in their snowsuits but the screaming is horrible and I’m pretty sure has raised a few eyebrows. 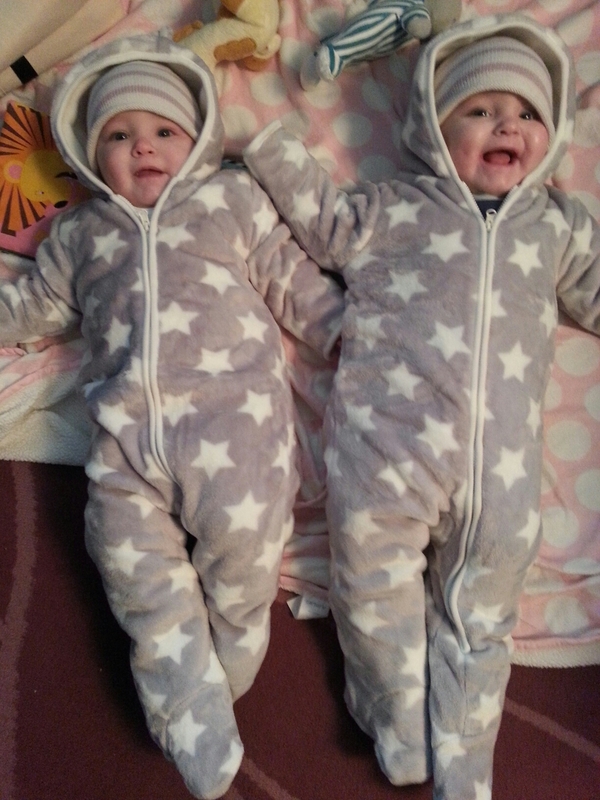 Raegan and Ella in their matching snowsuits! The worst part is that it’s not even winter yet. We have a full month of fall left and I cannot spend three months stuck inside the house. I will go insane. The good news is that usually once the girls are outside in the stroller, calmness ensues, but the bad news is that on really cold and windy days, I still have to wrestle their plastic rain covers on, like I did yesterday. Maybe we’ll have an unseasonably warm winter and this blast of yuckiness was a one time thing? Maybe? Ah, a girl can dream. 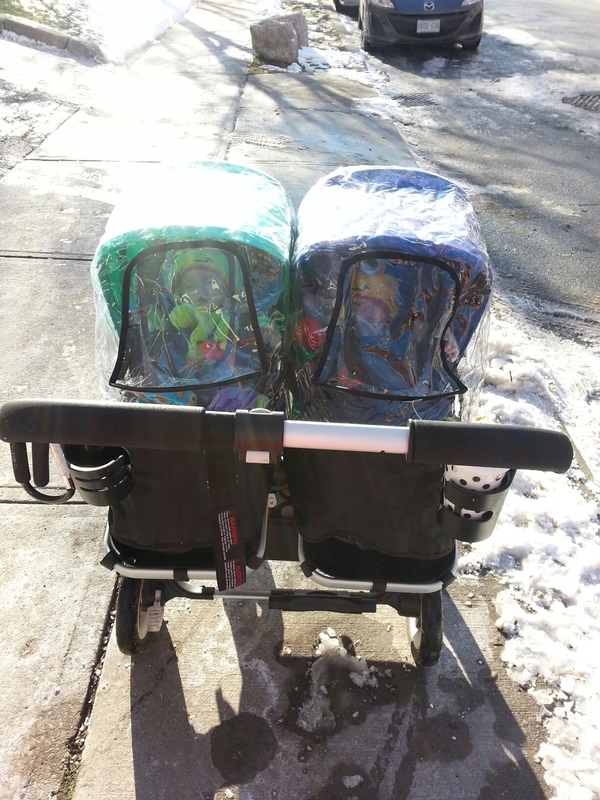 This entry was posted in Baby love, Home is where the heart is and tagged cold weather, identical, momo, mono mono, NICU, preemies, stroller, twins, winter. Bookmark the permalink.